GC Corporation in welcoming the 100th anniversary of our foundation in 2021, has decided on a slogan and symbol towards the realization of “Vision 2021: Challenge to become the number one dental company in the world through further contributing to a healthy, long-living society” which has been targeted at the 100th anniversary. 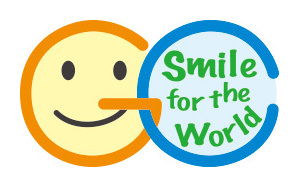 The slogan and symbol will be used throughout our whole GC group of companies globally from 1st of April, 2017, with the thought of wanting to relay to you all that “GC contributes to the health and smile of people all over the world”. GC Corporation sees the 21st century as the “Century of Health,” and is striving to be the world’s No.1 manufacturer of dental care products and to support the vitality and well-being of people all over the world. The whole GC group will continuously strive the health and smile of people all over the world.